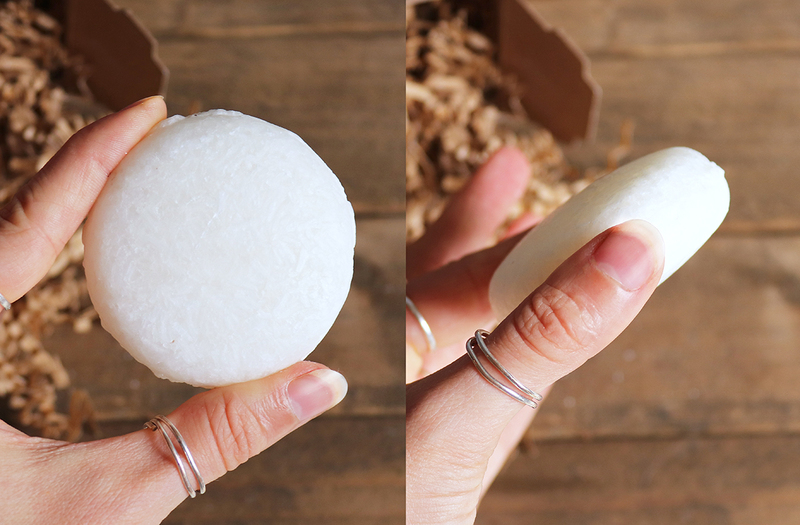 If you’ve never tried a shampoo bar before, or have no idea what it is – allow me to explain. 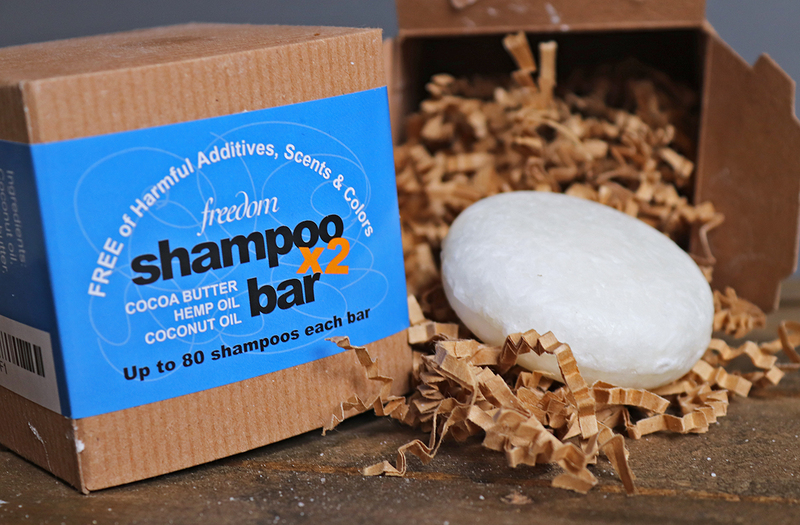 So, a shampoo bar is just like a bar of soap, but in shampoo form. Basically, exactly what it sounds like. On my journey to find a way to stop buying plastic shampoo bottles, Lush started coming out with ‘shampoo bars’. I was intrigued, but I really wanted something with less ingredients, and something a little less expensive. I had tried making my own shampoo to fulfill that desire, with less than stellar results. 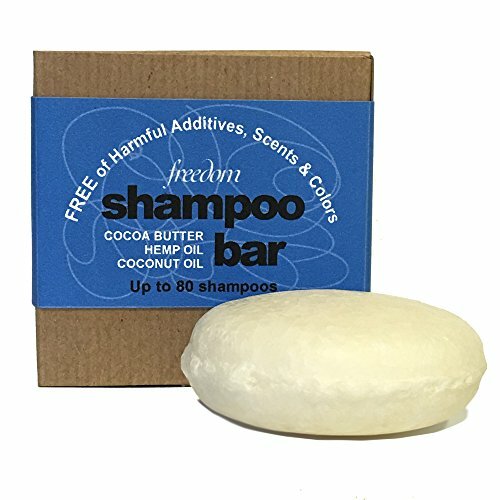 So, I scoured the internet and eventually came upon these Whiff Botanicals Freedom Shampoo Bars. Four ingredients. No plastic packaging. Animal cruelty free, gluten free, vegan. No SLS, SLES, parabens, cocamide DEA, or silicones! My hair actually does really well with these bars. I have fairly dry and fragile wavy hair – for reference. 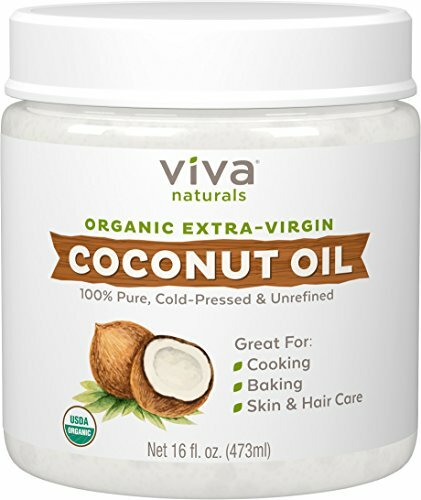 You just wet your hair, swipe it over your scalp several times (I usually do 6 swipes front to back along the top, and then kind of scrub it in behind my ears and at the base of my neck,) lather well, and then rinse. I can also get away without conditioner! If you keep these dry in-between uses, they last about two months. 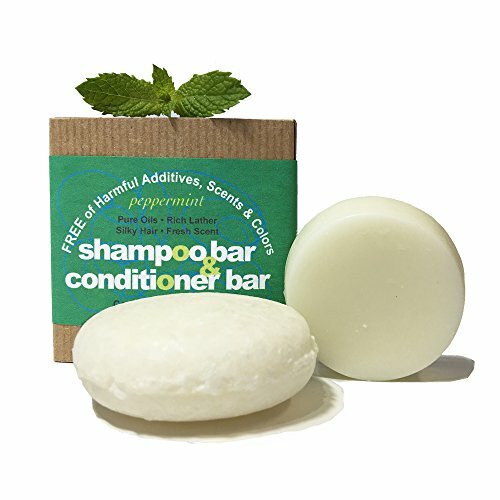 Although my hair did/does fine without conditioner when using the Whiff Botanicals bar, I really wanted something that could double as a conditioner & shave bar. This is it! These bars are slightly more expensive, but they last much longer. 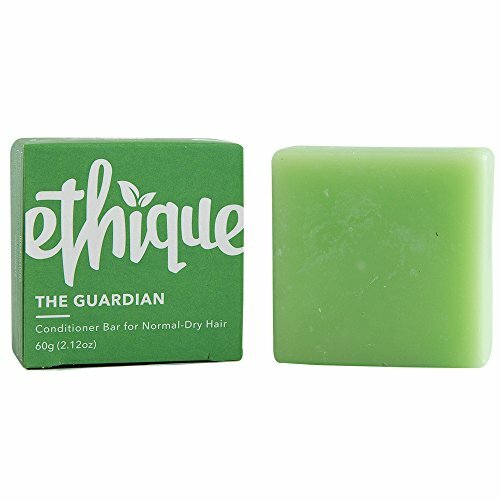 I have gone through three shampoo bars and still have the same conditioner bar! Again – these come in cardboard, (compostable or recyclable) so less waste with packaging. I also enjoy that its easy to control how much I’m putting on my hair. I can swipe over my ends or at the base of my neck several additional times if I want a little bit more moisture there. As a shave bar, I have had zero issues. Works best if your skin isn’t dripping wet and you rub back and forth over the are really fast to really work up a lather. If you are used to a foaming shave cream, this may take a little adjusting to – but it works great. 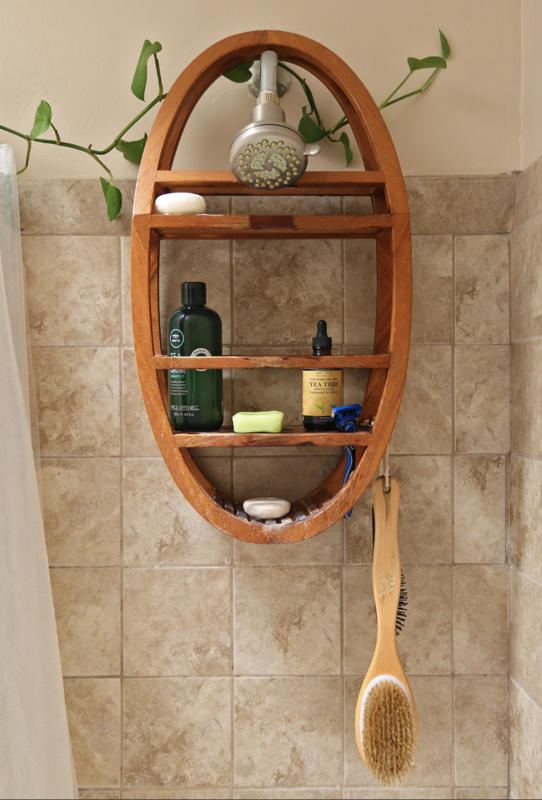 Like any other bar of soap or shampoo, you want to keep this dry in-between uses so it holds up and lasts longer. Definitely recommend. Ideally, yes, this would come in a glass bottle or jar, but I haven’t been able to find anything like that. Aside from the plastic packaging – this stuff is fantastic. This is my go-to for moisturizing my skin and face. In fact – it is the only thing that I will use to moisturize my face! I have extremely sensitive skin, and most oils/lotions/products cause me to break out, but not this one! And its safe to use around your eyes and I’ve noticed a difference in fine lines, dark circles, and wrinkles there. JASON Vitamin E 5,000 IU All Over Body Nourishment Oil, 4 oz. Witch Hazel. The holy grail! . Research shows that this extract has very effective astringent, antimicrobial, anti-inflammatory and pain-relieving properties due to the high tannin content and volatile oils it contains. This makes it good for several ailments, which I’ll describe below. A must for your medicine cabinet! This is my go to for nearly everything. First of all, it is an incredible astringent that – once again – does not cause my sensitive skin to break out! 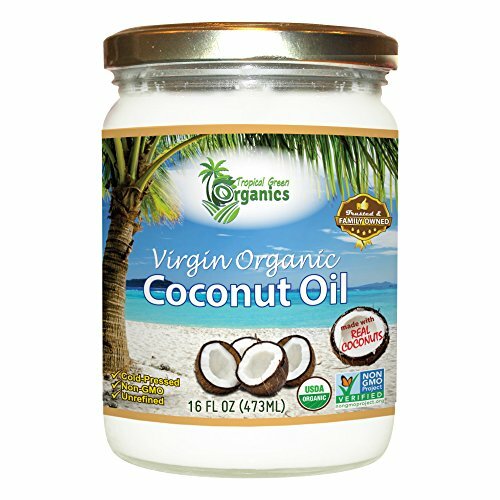 When I use it consistently, I notice a reduction in under the skin acne flare ups, which I am prone to on my forehead and chin. It also works well if you have particularly oily skin (sometimes my nose gets a little oily – my skin runs more on the dry side of things). Or if I have a pimple I pop and drain, I’ll use witch hazel to clean it out after. Secondly, its great for cuts, scrapes, and burns and is a must have for the medicine cabinet. I much prefer this over hydrogen peroxide or isopropyl alcohol – I find it stings less. Additionally, Witch Hazel is a great home remedy for hemorrhoids. You can soak a cotton ball with it and apply to the affected area. Or, it can be added to a sitz bath or normal bath. I’ll also add it to my bath water if I’m having any skin ailments (it’s good for itching), or if I’m in need of a detox bath (like if I’m sick or feeling under the weather). It also helps reduce the chances of getting ingrown hairs & razor burn if you use it after shaving. Another one of my absolute favorite essential oils! 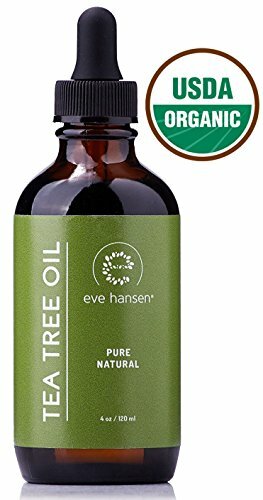 Tea Tree is useful for so many things – it is definitely something I recommend keeping around. If you’re just getting into using Essential Oils, this is one I would recommend starting with. Tea tree oil contains a number of compounds, including one called “terpinen-4-ol” that have been shown to kill certain bacteria, viruses and fungi. This particular compound also appears to increase the activity of your white blood cells – which help fight germs and other foreign invaders. 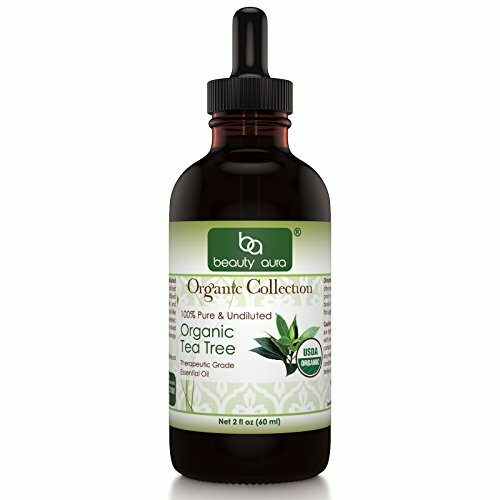 Essentially, Tea Tree Oil is a great anti-fungal and anti-bacterial. The most important thing to remember, is that this stuff is very strong, and will cause a tingling/burning sensation if you use it directly on the skin – even when diluted you will notice the same sensation – so it is very important that you dilute it! Added to shampoo or a cup of water (a few drops in either), can provide relief from dandruff. Diluting a couple of drops in a cup of water or in a sitz bath can provide relief from yeast infections. You can also add a few drops to a carrier oil (like coconut or almond) and apply to psoriasis, contact dermatitis, or nail fungus. Adding Tea Tree Oil to Witch Hazel & Aloe Gel can make a non-toxic hand sanitizer. Adding a little Tea Tree to your Witch Hazel when cleaning a cut or scrape can boost the antibacterial power. Cleaning your armpits with a few drops of tea tree diluted in water can help wash away the bacteria that causes odor, and work as a natural deodorant. A homemade mouth wash with a high quality tea tree oil product added reduces bacteria in the mouth. Create your own insect repellant with Tea Tree, Witch Hazel, Citronella, Peppermint, and Eucalyptus Oil. Add to vinegar to make an easy all-purpose house cleaner. Castile soap is my go-to for the shower (and also a staple for my DIY Laundry Detergent!) Minimal ingredients, easy on your skin, and no weird hard to pronounce chemicals or sulfates. 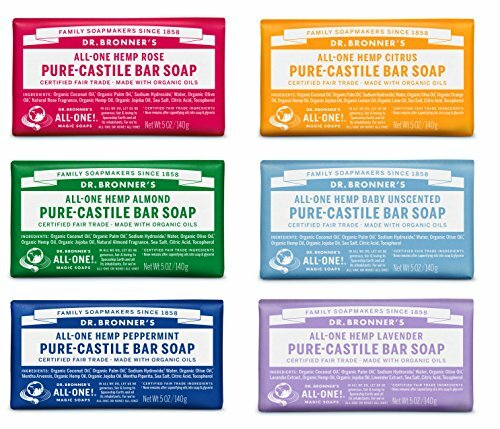 Additionally, Dr. Bronner’s and Kirk’s brand bar soaps have recyclable packaging (a win for the environment!) You can even purchase as a bar soap, and then melt down (with boiling water) into a liquid if needed. It took me a very long time to find a toothpaste I liked that fit my high standards. 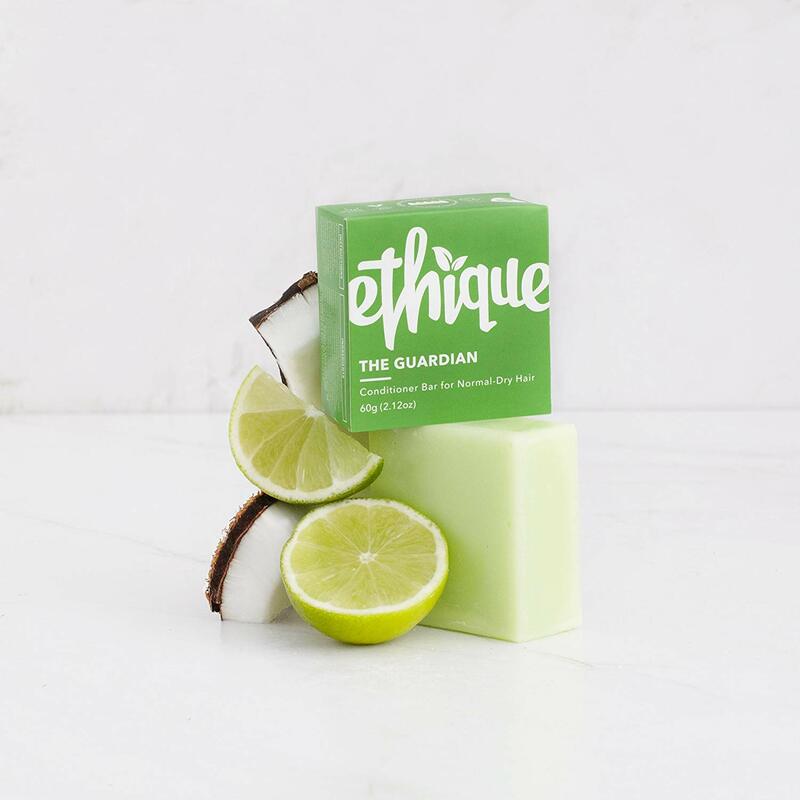 I wanted it to be cruelty free, fluoride free, no micro beads, no sulfates, no titanium dioxide, and to be comprised of naturally resourced ingredients. For a long time, I was buying “Tom’s of Maine” toothpaste. Once I realized it was owned by Colgate, and that the ingredients were actually not much different (or better for you) than your standard Colgate toothpaste, I stopped buying it. 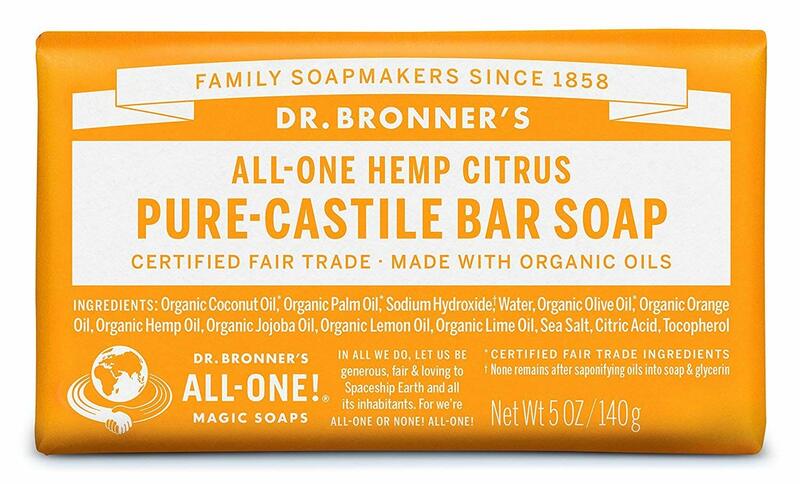 When I found out Dr. Bronner’s had a toothpaste – I was sold. I had to try it! I love their company and was eager to see how I liked the toothpaste. The ingredients checked out for me – and as a bonus, they were primarily organic. I’ve now been using this toothpaste for over a year and I seriously will never go back! The main thing you’ll notice is the taste is much different from your ‘standard’ toothpaste. It does not have a sugary or sweet mint flavor that many toothpastes have. I now find normal toothpaste absolutely disgustingly sweet, as a result. 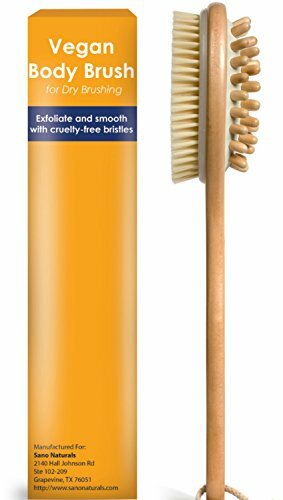 Overall, I’m very happy with this toothpaste – I find it works just as well, gets the job done, is less toxic, and comes from a fantastic company. I will 100% continue to use this until I eventually start making my own toothpaste to cut back on waste! 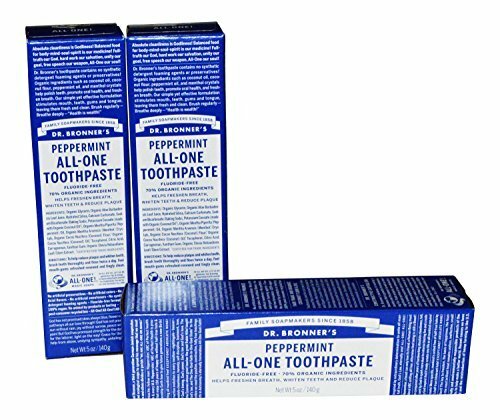 There are three toothpaste flavors – peppermint, cinnamon, and anise – but I prefer the peppermint flavor the best. Check your local Whole Foods or health store to find this, although the best price I’ve found has been buying a 2 or 3 pack on Amazon (below). This is a staple in my house. I try to buy it in a glass container that I can reuse. Just make sure that you keep whatever you use for cooking separate from what you’re dipping your hands in for make up remover, skin care, etc. If you are unfamiliar with one of these, you might be thinking its just something to scratch your back with (and I guess, to some extent, it is)! 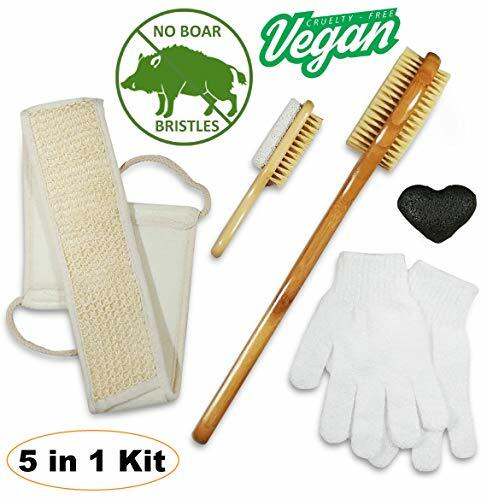 However the health benefits of body brushing are numerous. I keep mine in the shower and brush my body at least once or twice a week – every day if I’m leading up to my period and experiencing PMS symptoms, or if I am sick, or just feeling like I need a little detox! So, this one is new to my arsenal, but I love it so much already and am already noticing a difference in the health of the skin on my face – less fine lines, less irritation, and an overall more plump & healthier look to my face. 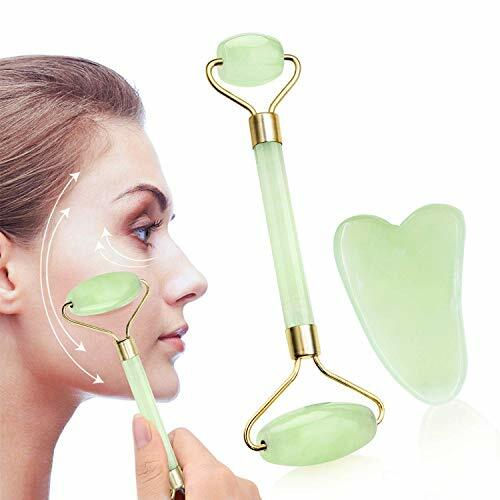 The idea behind the jade roller and the Gua Sha scraper, is similar to the body brush – increase circulation, move lymph, and release muscle tension. So, not only does it improve your skin, it also feels amazing as it releases tension in my upper lip area (pursed lips), my forehead/eyebrows (furrowed brows), and along my jaw. The jade roller is a little more mild than the Gua Sha scraper – think of it more like a gentle soothing cooling massage, where the Gua Sha scraper is more of a vigorous way to relieve muscle tension, move lymph, and increase circulation. 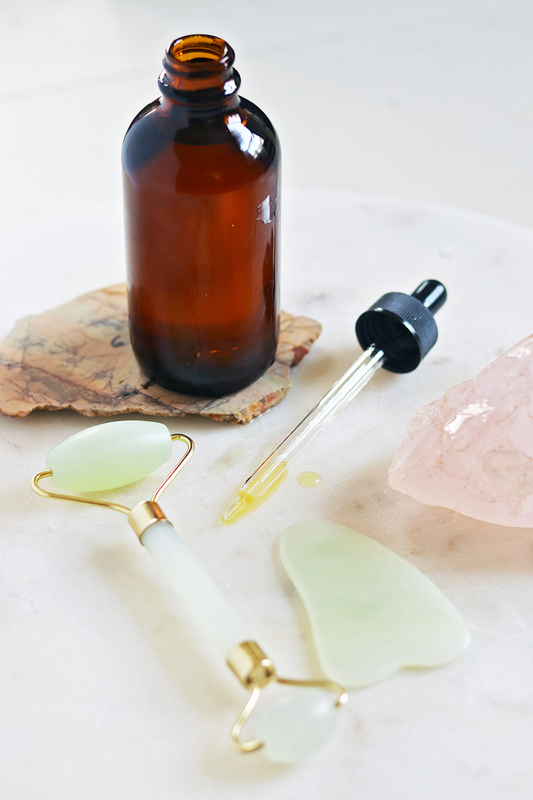 I typically do the jade roller in the morning post shower, and the Gua Sha scraper at night before bed (the scraper will increase redness temporarily as blood comes to the surface of the skin). Watch a video about how to use the Gua Sha tools on your face here. Additionally, if you like to use a moisturizer, both products can help with absorption, and many sources actually recommend using a serum, oil, or something similar when doing the massage. Since I struggle with sensitive skin, I have used a little aloe with mine, but nothing else. Just be sure to clean your tools after. 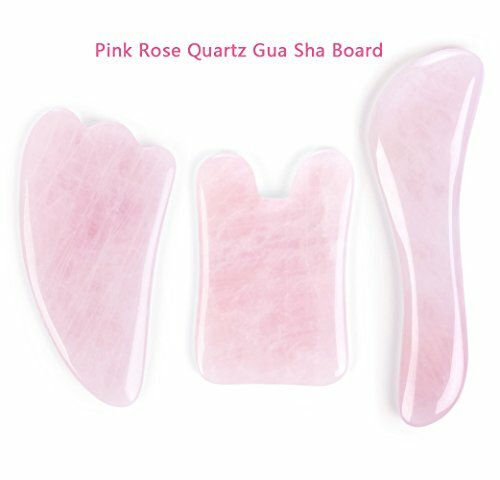 The Gua Sha scrapers can also be used on the rest of the body for any intense areas of muscle tension/knotting/injury, for breaking up scar tissue, and as a general massage tool. If you google ‘Gua Sha’, you may be alarmed by the bruising caused – but don’t let it throw you off! This is typically from using the tools in a rough manner to break up deep muscle knots. Did you enjoy this post? Have experiences to share? Show us on Instagram with the hashtag #homewithwillow, or join our Facebook group!